"Dr. Elbana is very knowledgeable and educated me on how to stay on track! Thank you..."
"Very professional, thorough, informative doctor, he is also very polite, great results." "Best place to go when you are seeking some extra help on your weight loss journey." 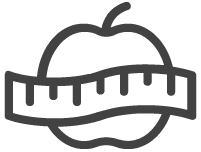 Physicians Weight Loss Clinic has been providing medical weight loss and aesthetic treatments to the residents of Huntington, New York, and the surrounding areas since 2004. Under the direction of board-certified anti-aging physician Khaled Elbanna, MD, patients can expect to look and feel better, while improving their overall health. To help patients achieve their weight loss goals, Physicians Weight Loss Clinic provides a medically supervised weight loss program that includes FDA-approved medications and a customized diet plan. For quick results, the weight loss experts at Physicians Weight Loss Clinic offer the human chorionic gonadotropin (hCG) diet. To restore your youth without undergoing surgery, Physicians Weight Loss Clinic offers a number of aesthetic treatments, including Botox®, chemical peels, and fillers. The clinic’s aesthetic professionals can also banish varicose veins with injections that cause the veins to collapse. Additionally, facial rejuvenation treatments are available using revolutionary platelet-rich plasma (PRP). For help with weight loss and younger-looking skin, call Physicians Weight Loss Clinic or schedule an appointment using the online booking system. "I found my experience with Dr. Elbanna to be very professional from beginning to end. I would highly recommend this physician to my friends and family." "Great place if you want to lose weight! The doctor is very friendly and quick once you get your assessment done the first visit. Definitely recommend this place." "Love the office staff and Dr. Elbanna! Dr. Elbanna has helped me to lose a lot of weight in a safe and steady manner. Highly recommend."